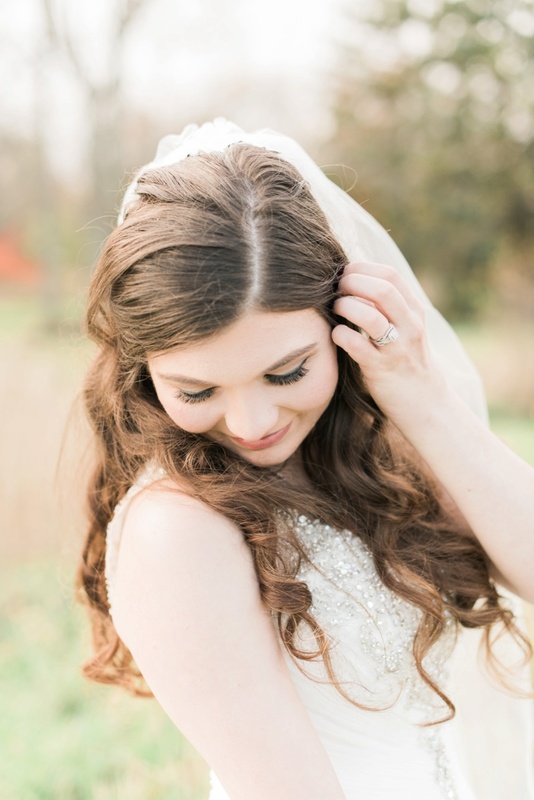 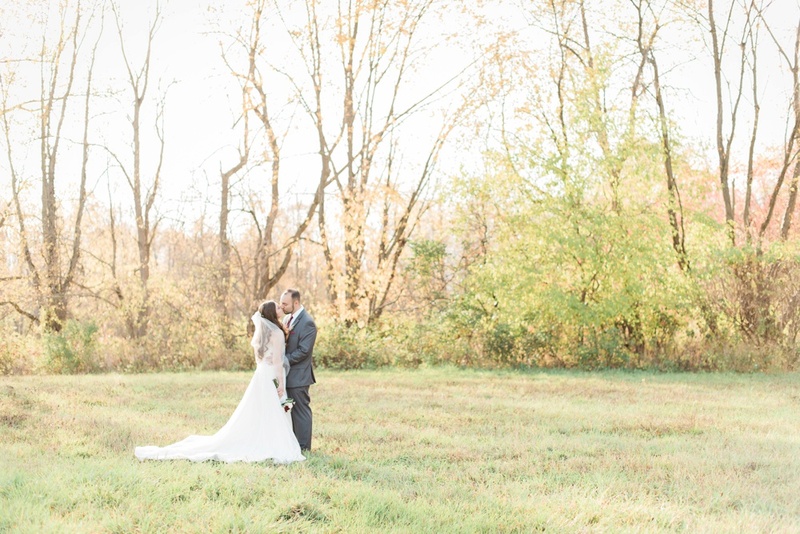 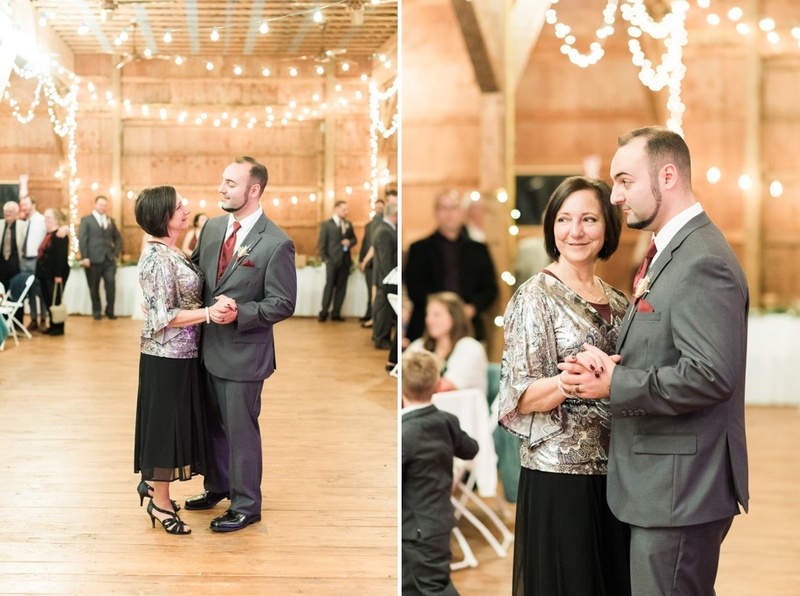 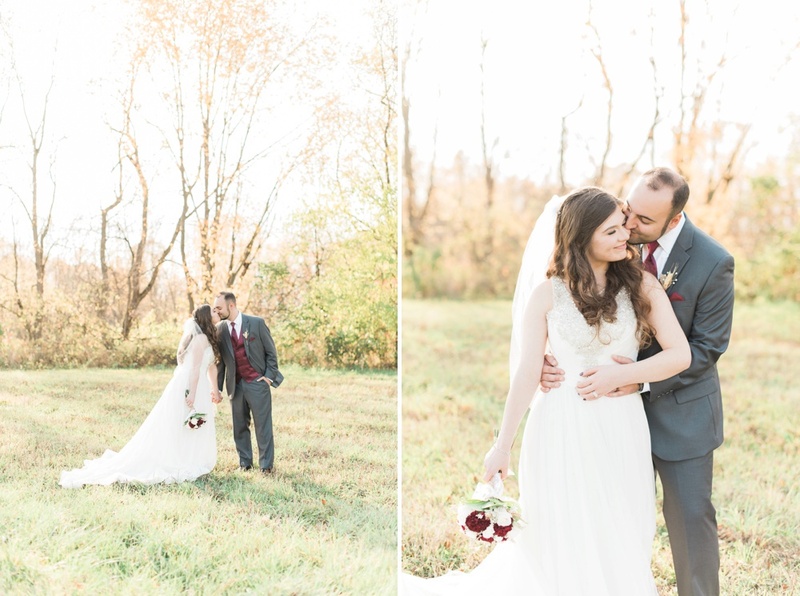 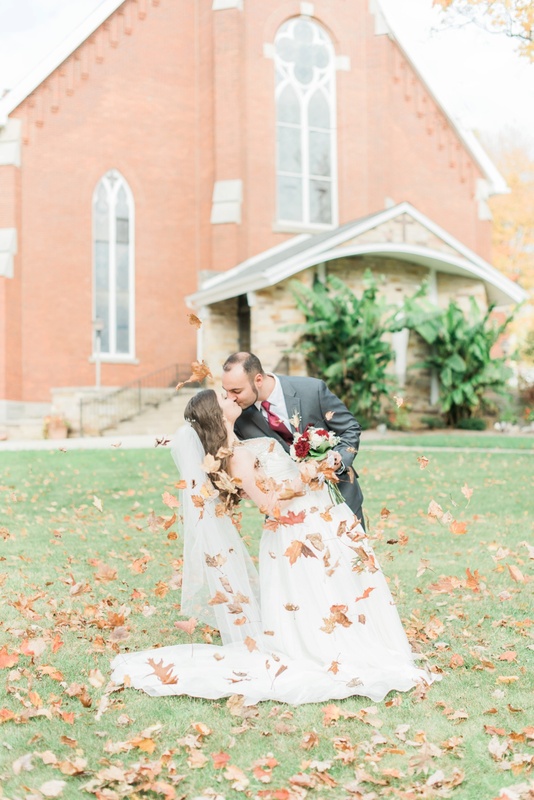 Lauren and Ryan's gorgeous wedding day was the PERFECT way to wrap up my fall weddings. 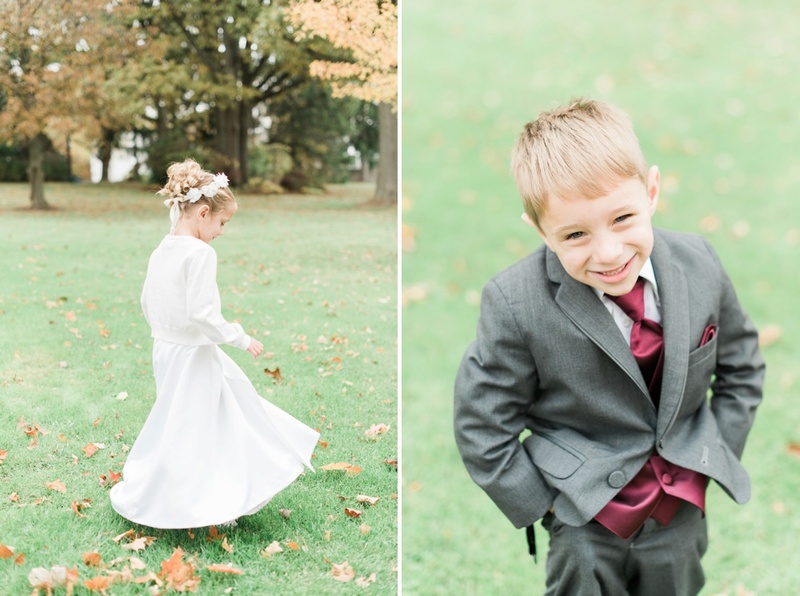 I was so honored that they brought me up to the Akron area last Saturday to capture all the love and fun for them! 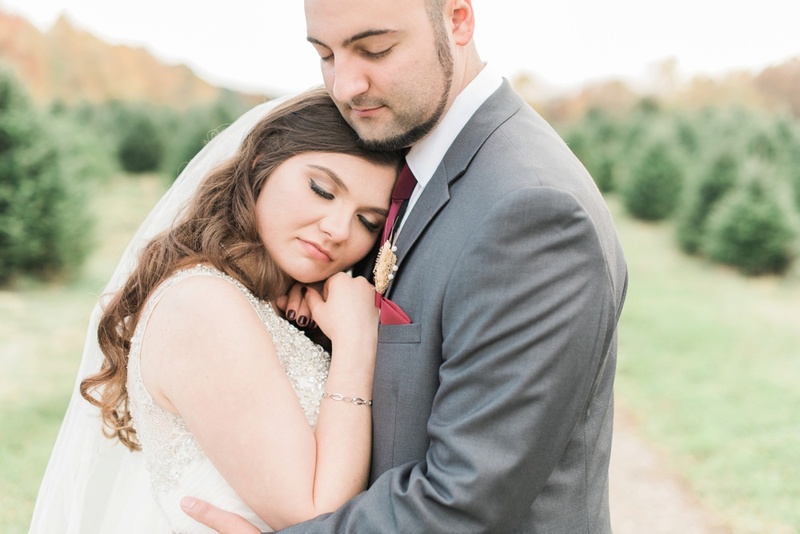 Lauren and Ryan are so sweet and easy-going and affectionate, and Ryan is an amazing wedding photographer himself (such an honor! 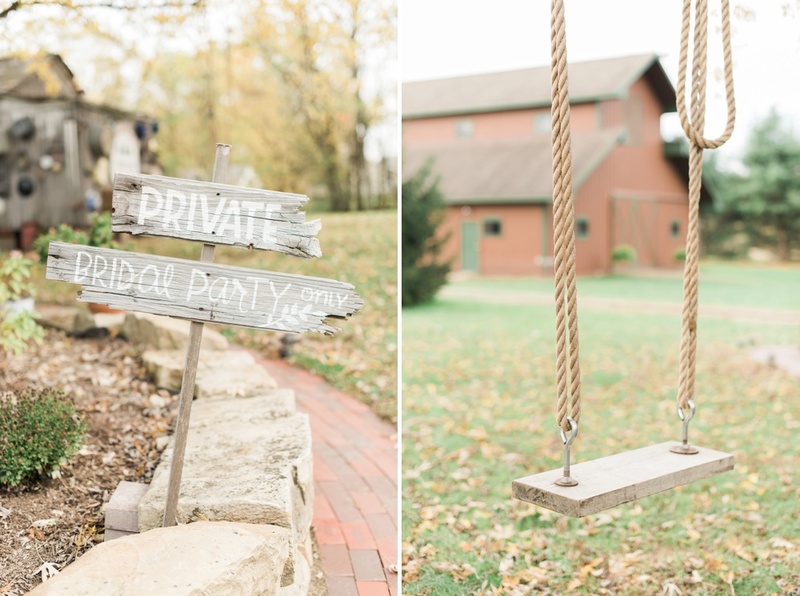 ), so they knew exactly how to make my job so easy. 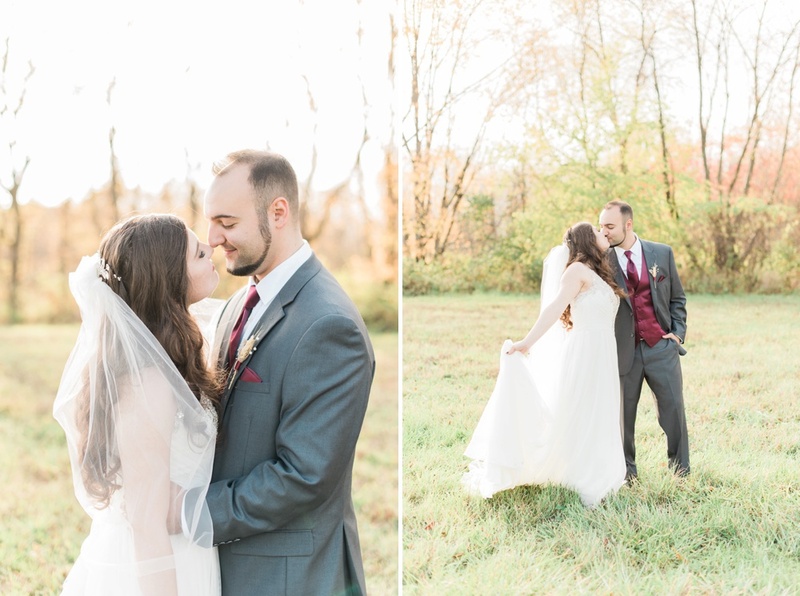 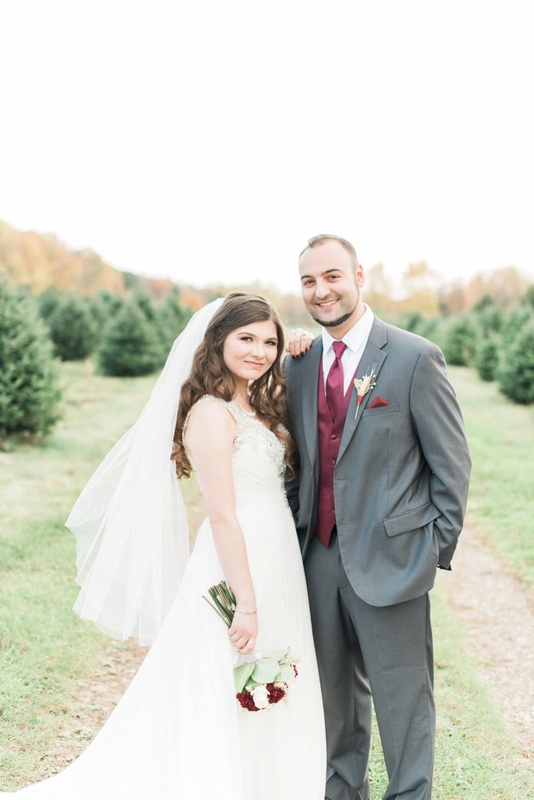 Their reception took place at Ricciard's Tree Farm, and it was such a treat to have so many incredible photo backdrops all in one location, as well as an adorable couple to work with and lots of time for portraits! 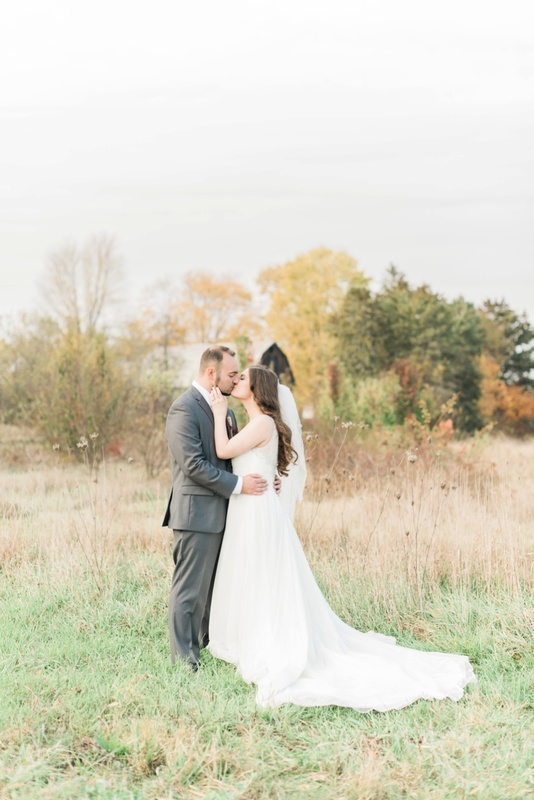 I'm in love with all of the ones we got to take! 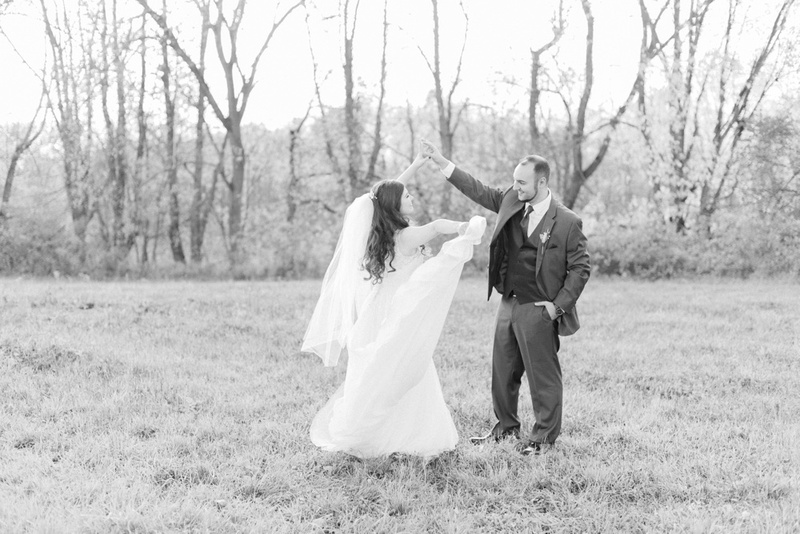 One thing that really stood out to me was how smooth, relaxed, and joyful this day was from start to finish. 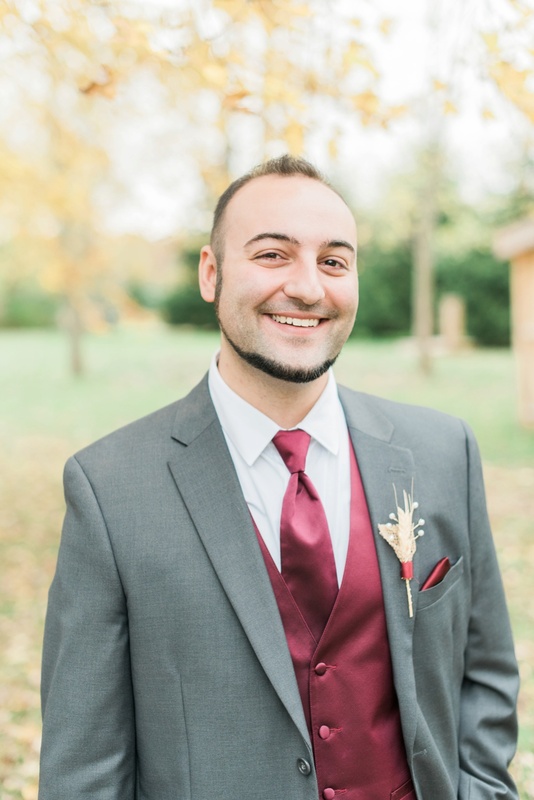 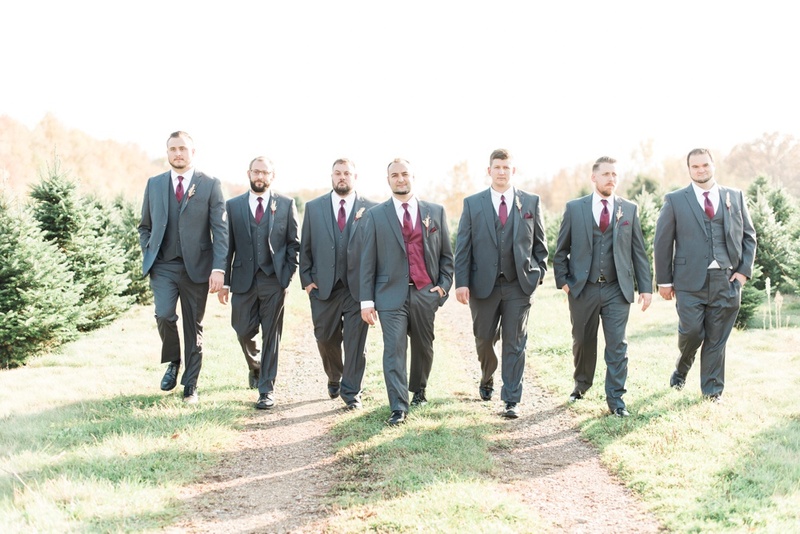 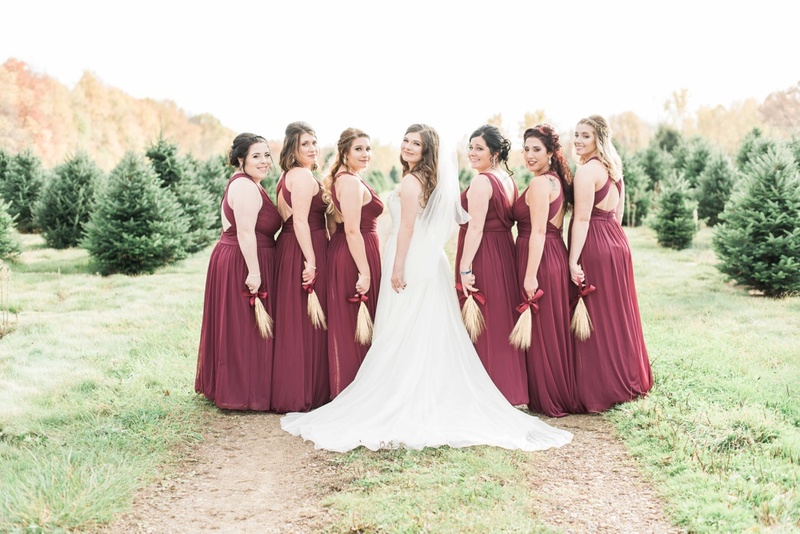 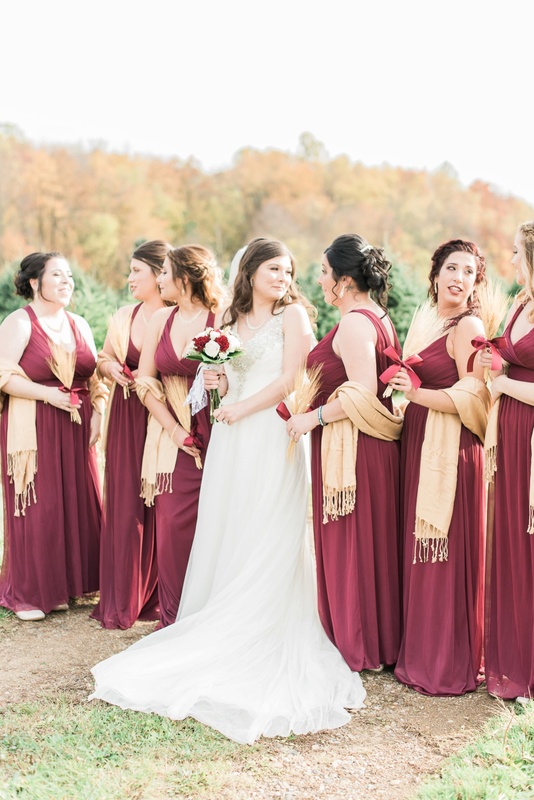 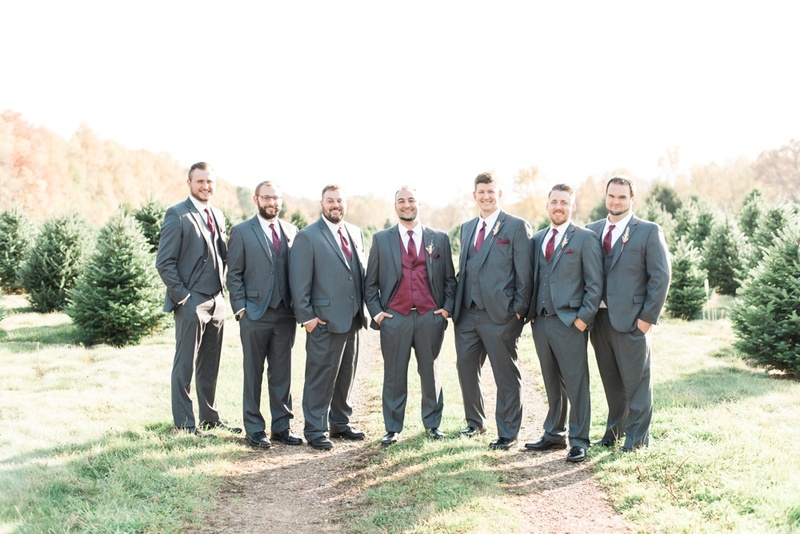 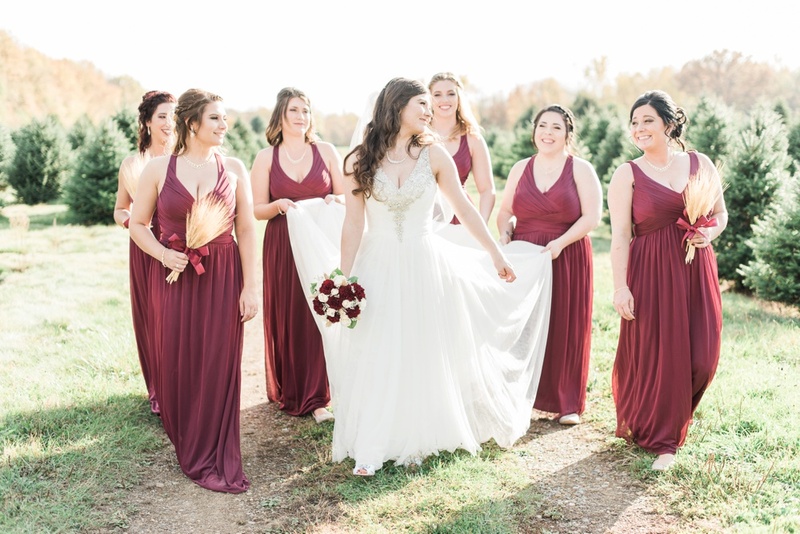 Ryan got ready with his groomsmen at his parents' house, and Lauren got ready with her bridesmaids nearby in the bridal suite at Ricciardi's Tree Farm. 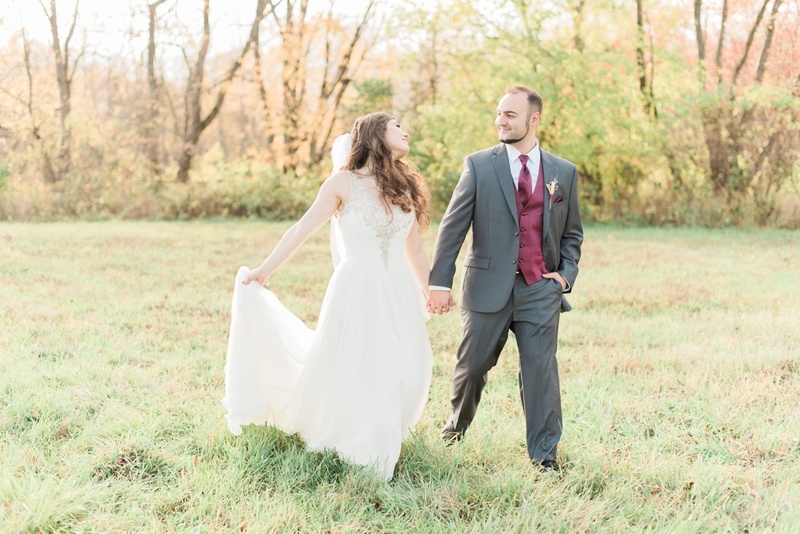 They exchanged letters and gifts with each other before the ceremony, and I loved how their gifts showed so much appreciation for each other's interests and skills -- Lauren gave Ryan a beautiful guitar, and he gave her a fancy hair styling tool and a darling necklace. 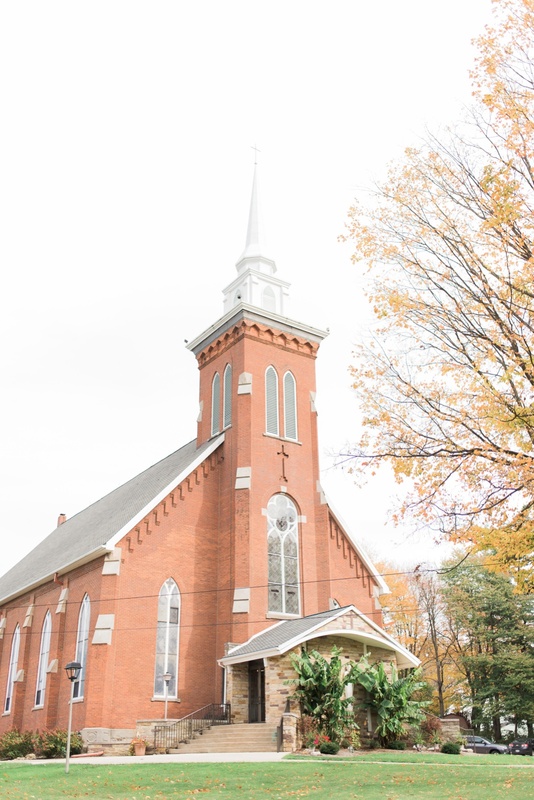 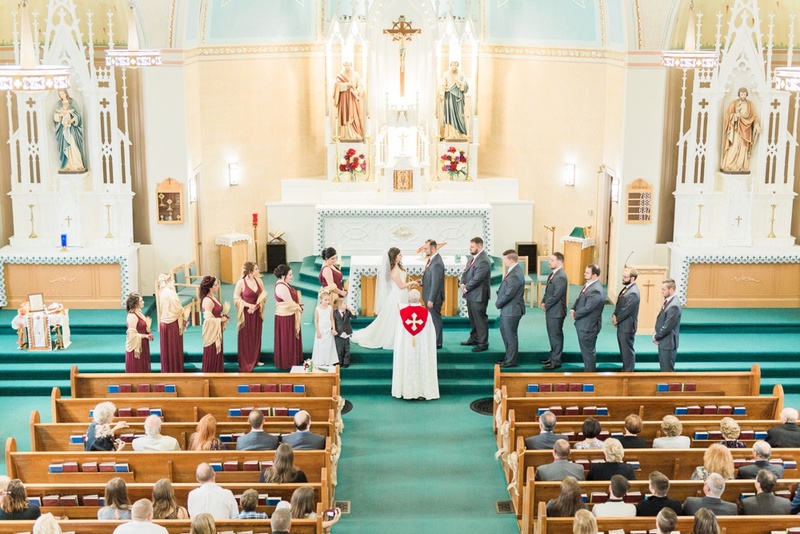 They had a beautiful, traditional ceremony at Saints Peter & Paul Church, and then headed back to Ricciardi's with their guests to celebrate with dancing, a bonfire, and some of the best Italian food I've ever tasted! 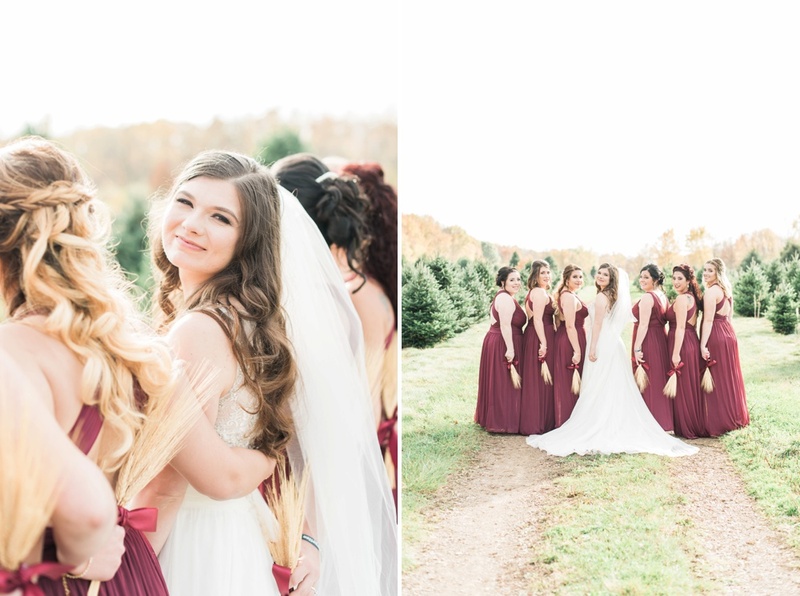 Lauren's father was not able to be there on this day, but he was certainly there in spirit, as well as in the many sweet details that Lauren incorporated in his memory. 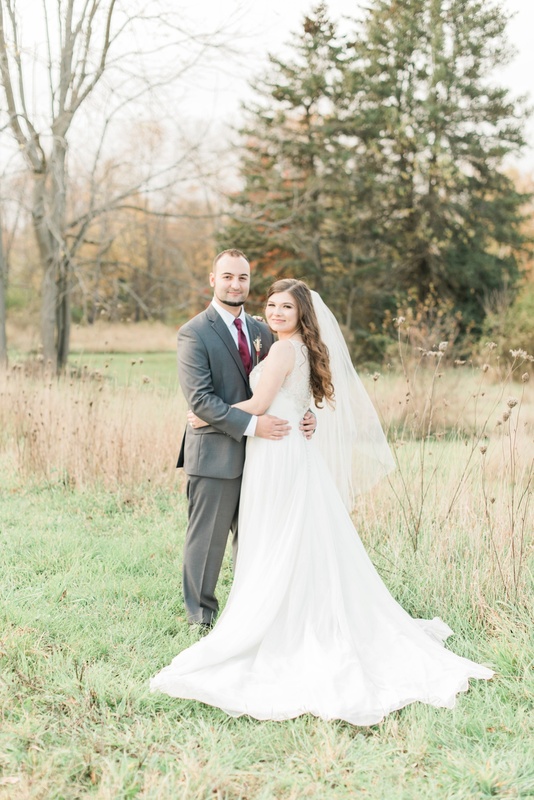 Lauren and Ryan, thank you from the bottom of my heart for welcoming me into your wedding day! 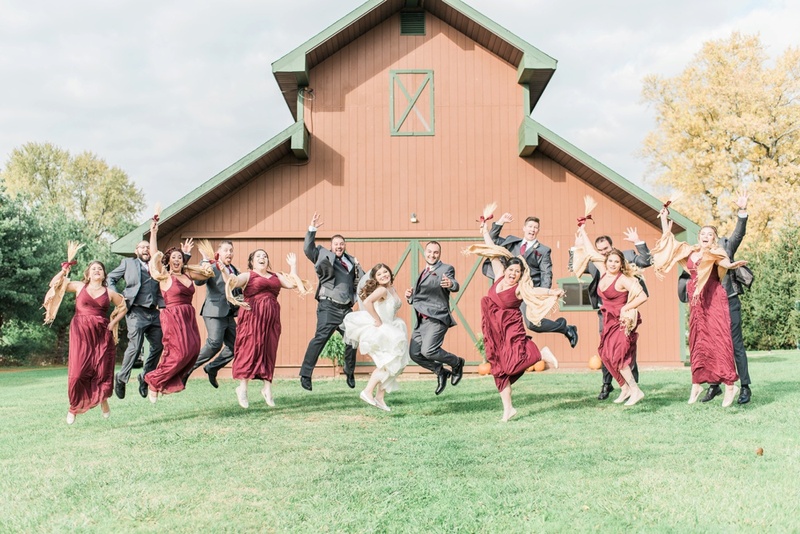 I wish we could repeat it again and again, it was so much fun! 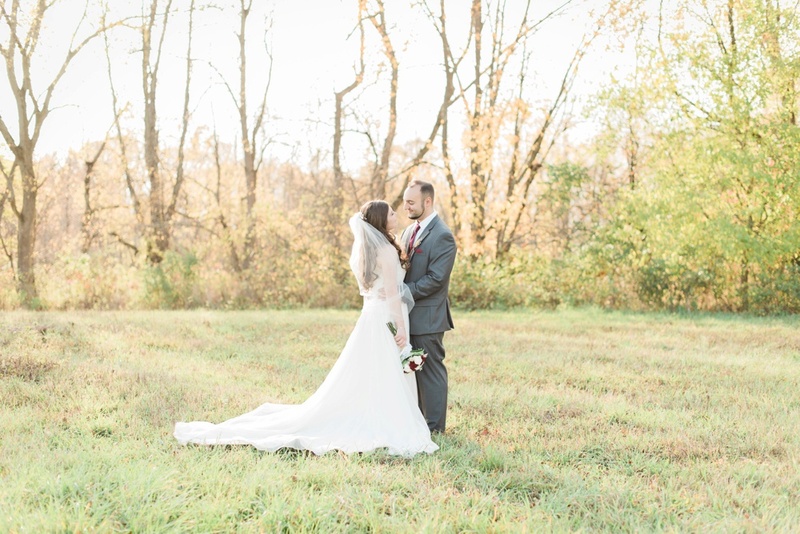 :) Wishing you so much happiness in your first days of marriage and all the days after!